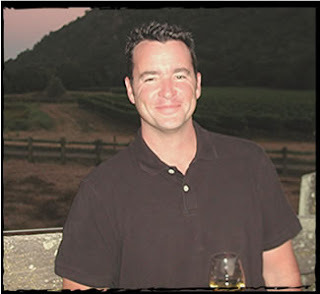 Chardonnays Not to Be Missed: The Wines of Jason Kesner! It's no secret, California Chardonnay has gotten a bad rap in recent years. For good reason? Maybe, but much like fashion trends, tastes and style change over time. Currently, more winemakers are eschewing the heavily-oaked, over manipulated style of this varietal and are creating wines using less artificial intervention, driven primarily by the composition and quality of the fruit. The Chardonnays from Kesner Wines beautifully illustrate this philosophy. Recently, I had the opportunity to taste this portfolio of wines featuring four fabulous Chardonnays that are refreshingly elegant and embody the delightful qualities one would hope to find in this often misunderstood varietal that just happens to be the primary ingredient in some of the finest white wines on the planet (i.e. Champagne, Grand Cru White Burgundy). Jason Kesner is the driving force behind Kesner Wines, which he founded in 2002 while managing Hudson Vineyards in Carneros. Kesner is a firm believer in having a strong foundation in the vineyard, "low impact farming, and low impact winemaking drive the wines." Upon release, Kesner's wines were very well received, with his inaugural Chardonnay garnering the distinction of The French Laundry's Most Recommended Chardonnay and has every year since. Kesner presently splits his time between his position as assistant winemaker at Kistler Vineyards and producing his eponymous wines which consist of four Chardonnays, a Sonoma Coast Pinot Noir and an Old Vines North Coast Grenache. The first wine we tried was the 2008 Kesner "The Old Vines" Chardonnay, hailing from California's Napa Valley. This medium-bodied wine exhibited notes of butterscotch and citrus along with a bright acidity and was very well balanced. It also had a creamy mouthfeel indicative of its 16 months sur lie aging and was a lovely introduction to the flight. 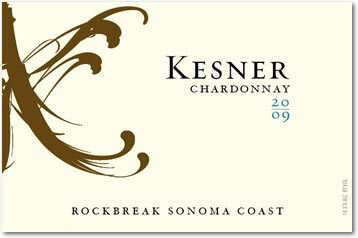 Second, was the 2009 Kesner "Rockbreak" Sonoma County Chardonnay which had enticing aromas of floral and citrus. On the palate, flavors of crème brûlée and butterscotch comingled with lovely notes of spice imparted by the French oak (15% new). The spicy notes of the wine paired very well with a peppery arugula salad we were enjoying creating a lovely synergy between the two. This Chardonnay also had a fabulous minerality that carried through on the long, lingering finish. Third was the 2009 Kesner "Sandrift" Sonoma Coast Chardonnay which had an alluring nose of shortbread that immediately called to mind a Lorna Doone cookie! These biscuity aromas intertwined with floral and citrus notes and made for a wine that embodied many qualities of a Champagne, minus the bubbles. This medium-full bodied wine was well-balanced and elegant with a lovely acidity and long finish. The last Chardonnay of the flight was the 2009 Kesner "Alder Springs Vineyards" Chardonnay. This wine was slightly different than the previous three, exhibiting greener notes on the nose and was less aromatic. The fruit for this wine hails from Mendocino and was grown in a vineyard perched on a mountainside at 2400 feet in elevation. While perhaps less "ripe" than the previous offerings, this wine had an undeniable elegance and refined notes of citrus and flint. Kesner also produces a Pinot Noir, the 2009 Kesner Sonoma Coast Pinot Noir that was inky purple in color with blackberry, cherry and chocolate on the nose accompanied by a healthy dollop of earth and moss. On the palate, this pinot exhibited ample tannins, a food friendly acidity and structure that could even benefit from a few more years of bottle age. This wine definitely had my mouth watering for a roasted duck or an earthy mushroom risotto! Kesner's wines are produced in very small quantities and may be difficult to find - never fear though! For information on purchasing, please contact Adriana Chinsky at Adriana@Adavino.com. These wines are definitely worth seeking out! Of course, if you happen to be dining at The French Laundry in the near future, you can always order a bottle there. 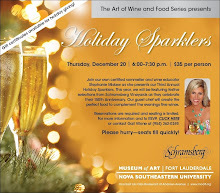 For you local readers who happen to be Chardonnay fans, our next installment of "The Art of Wine & Food" series at the Museum of Art, Ft. Lauderdale, will take place Thursday, September 22nd and will feature "Chardonnays Around the World: from Audrey Hepburn to Marilyn Monroe, Learn How Various Winemaking Styles Exhibit Qualities of Old Hollywood Glamour!" We'd love to see you there! For more information, please contact Gail Vilone at 954-262-0249 or gvilone@moafl.org. Cocktail Couture: The Aperol Spritz! Happy Friday, All! Here is a delicious little cocktail that is sure to quench your thirst in style this weekend. 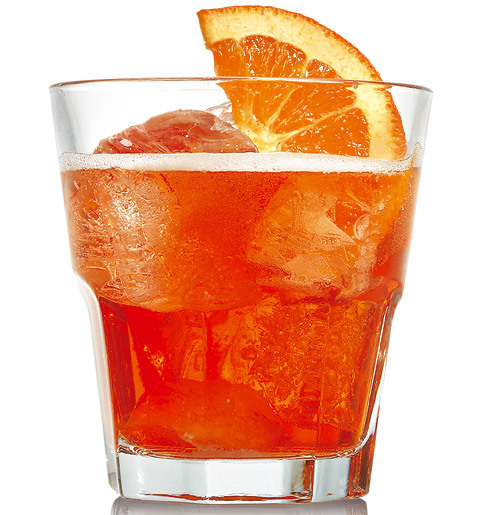 The Aperol Spritz is of Italian origins and is a refreshing combination of Aperol, Prosecco and a splash of club soda, garnished with an orange slice. What is Aperol, you may ask? Aperol is a bright orange, Italian aperitivo liqueur that was introduced to Italians in 1919 at the International Fair of Padua. Created by the Barbieri brothers, it is an infusion of ingredients including bitter and sweet oranges and a variety of carefully selected herbs and roots. The result is delightful, sweet with a hint of bitterness and enticing herbal notes. Aperol is similar to Campari, but not quite as bitter and makes an excellent alternative in drink recipes if you do, in fact, find Campari to be too bitter (which I often do). While it can be enjoyed on its own, I love Aperol in the context of the Aperol Spritz which I enjoyed this Summer at South Seas Island Resort on the west coast of Florida, of all places. I was instantly hooked! 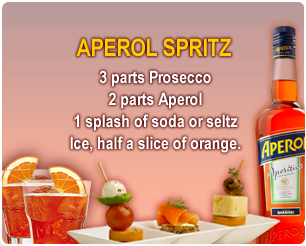 The drink is light and refreshing (Aperol's alcohol content is only 11%) and perfect for enjoying on a warm Summer day or as an aperitif before dinner. It definitely gets your taste buds firing! Interestingly, in the 1930's and ad campaign dedicated to women touted Aperol as the liqueur for the fitness conscious, keeping them lean and fit thanks to its low alcohol content. Aaah, if only that were true! Imagine a world with no more spinning. But I digress, it wasn't until the 1950's that the recipe for the Aperol Spritz was introduced, taking the place of the standard Venetian white wine and soda spritzer and still remains very popular to this day. While the standard recipe is served over ice in a rocks glass, the Aperol Spritz also makes an elegant presentation in a Champagne flute, minus the ice. 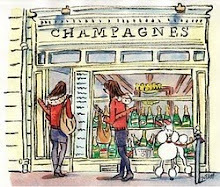 There's just something about the feel of a Champagne flute in your hand that signifies the start of a beautiful weekend. I hope you enjoy this cocktail and I wish you all a fabulous weekend. 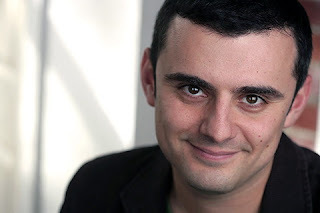 As many of you may have heard, yesterday marked Gary Vaynerchuk's official retirement from producing regular video wine content. As the host and creator of Wine Library TV and more recently the Daily Grape, Gary has had much to do with changing the wine world over the past 5 years. His irreverent style and down to earth approach to wine appealed to many, including myself. I feel fortunate to have spent some time with Gary and it was a wonderful opportunity and experience writing for Cork'd, his wine content website. Gary was, and no doubt continues to be, a proponent of experiencing "the world of wine" and has always encouraged wine lovers to be adventurous and think outside the house Pinot Grigio. On that note, I am happy to leave you with his last Winesday pick for The Glamorous Gourmet, a delightful, yet often overlooked wine: Petite Sirah. I am sure great things are in store for Gary and wish him the best. 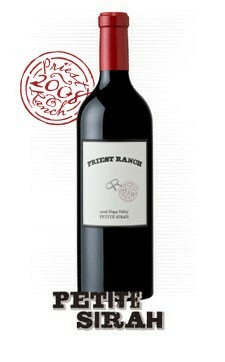 Without further ado, here's his take on the 2008 Priest Ranch Petite Sirah. "There are few grapes that have the niche-yet-passionate following of Petite Sirah. Just this past weekend, a group of Petite Sirah tragics gathered at the sold-out PS I Love You symposium in Livermore, California to celebrate this inky, tannic, all-too-often ignored grape. Sometimes known as Durif, Petite Sirah brings incredible structure and age-worthy character to the table in warmer climates across California, Australia, France, and even Israel. This Napa Valley interpretation from Priest Ranch brings tremendous amounts of thunder, with fruit from Somerston Estate, which in the past has sold their fruit to big-boys like Ramey, Caymus, Duckhorn and Viader. If Priest Ranch continues to churn out this kind of quality, then they need to be on your radar screen." Gary's tasting note: Big nose with cranberries, blueberries, and other dark fruit flavors, along with a cedar and creme fraiche play. On the palate, the cherries and tannins step to the forefront and deliver an incredibly balanced, dark and well structured Petite Sirah. This will pair with most beef dishes and will last 15 years, no problem. The Rosé Lifestyle of St. Tropez with Château D'Esclans! 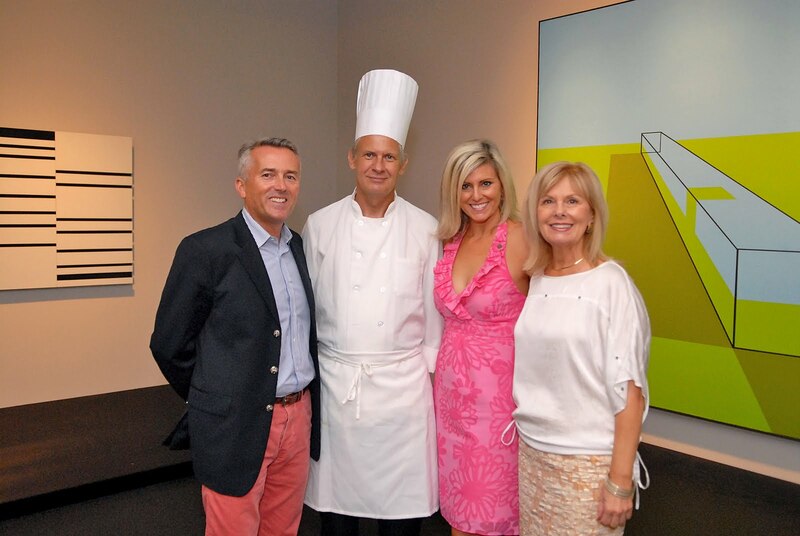 Last month's installment of the "The Art of Wine & Food" series at the Museum of Art Ft. Lauderdale featured the delightful Provençal rosés of Château D'Esclans. For you rosé skeptics out there, let me assure you, these wines are nothing like the sickly sweet white zinfandel or blush wines you may have encountered. All of the evenings rosés were produced with “zero percent sugar” in the spirit of Provence, whose rosé wines are not sweet. The wines of Château D'Esclans hail from the Cotes de Provence appellation in southeast France, largely regarded as the "gold standard" for dry rosé production. Participants were led through the Château D'Esclans portfolio of four rosés by Paul Chevalier, National Fine Wine Director at Shaw-Ross International Importers. 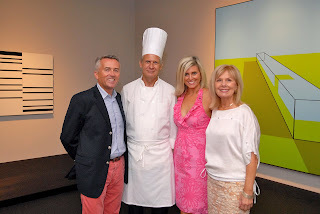 Accompanying the wines were delicious dishes created by Chef Remy Gautier of Argentelle Café and Catering that highlighted the nuances of each wine. The evening began with the 2010 Château D'Esclans "Whispering Angel" Rosé, so named for a sculpture of two whispering cherubs in the centuries old chapel located at the Château. A blend of 73% Grenache, 4% Rolle (aka Vermentino), 9% Cinsault, 8.5% Syrah and 5.5% Mourvedre, this wine is vinifed entirely in stainless steel to preserve the crisp, fresh flavors. The Whispering Angel is pale, crystalline pink in color with delicate aromas of berries and flavors of strawberry and spice. With its clean, mineral finish, this wine is very versatile and pairs nicely with a variety of cuisine including charcuterie, shellfish, BBQ or, frankly, nothing at all. Attendees enjoyed the "Whispering Angel" paired with Artichoke Tapenade on Garlic Toasted Baguette and Apricot with Goat Cheese, Pistachio & Dried Currants. Second, was the 2010 Château D'Esclans "Esclans," the Château’s second label that marks the introduction of partial oak vinification to the wines. The "Esclans" is a blend of 85% Grenache and 15% Rolle from 30-80 year old vines that is partly vinified in stainless steel as well as demi muids which gives the wine more complexity and structure. The wine is light salmon in color with a lively bouquet of berries and spice. This rosé has a creamier mouthfeel and more persistent finish than the first, and features hints of dried cherry and white pepper. When pairing with food, the "Esclans" is also quite versatile and pairs well with cuisine including cheeses, shellfish, salads, and grilled tuna. Inspired by the South of France, Chef Remy created a Tuna Niçoise Salad in a Bite to pair with this selection. The 2009 Château D'Esclans "Les Clans" is the third wine of the portfolio and marks a distinct departure in the way rosé typically tastes. This wine bears a strong resemblance to a high-end white Burgundy with its buttery, mineral finish. "Les Clans" is made from 75% Grenache and 25% Rolle grapes that hail from 50-80 year old vines and are vinified in 600-liter demi-muids for 6 months using Burgundian style bâtonnage. The 2009 “Les Clans” has a remarkably elegant, creamy mouthfeel with hints of strawberry butter, freshly baked popovers and toasty oak, and a long, lingering finish. This wine is positively dreamy paired with richer seafood like scallops, lobster or even curry dishes. Chef Remy paired the wine beautifully with Sea Scallops Wrapped in Bacon and Curried Shrimp. The pièce de résistance of the Château D'Esclans portolio is Garrus, an uncommonly elegant rosé noted for its creaminess and lush, mineral finish. With a limited production of only six barrels per vintage and retail price of $100 per bottle, this rosé is de rigeur among the über-yachts of the French Riviera. This wine is produced from 70% Grenache and 30% Rolle from 80 year old vines and is vinified in 600 liter demi-muids for 10 months using Burgundian-style bâttonage. 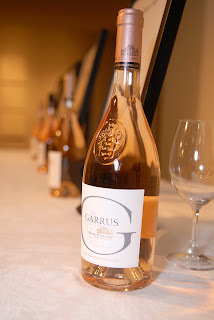 The 2009 “Garrus” Côtes de Provence Rosé is rose petal pink in color with concentrated aromas of raspberry and spice followed by a creamy, rich expression of beautifully balanced fruit, minerality and oak. When pairing with food, do not be fooled by its color. This deliciously elegant rosé definitely requires a dish with some weight and complexity to it. Think succulent roasted pork, grilled lamb chops or even a savory mushroom dish. Attendees enjoyed the 2009 Garrus paired with a duo of lamb including delicious Lamb Kebabs and Risotto with Apricot and Lamb. For more photos of the event, please check out the slide show to the right of this post. Also, please join us for our next event, "The Diversity of Australia" this coming Thursday, August 25th at the Museum of Art, Ft. Lauderdale. For more information, contact Gail Vilone at 954-262-0249 or gvilone@moafl.org. Two Sultry Summer Sippers to Try this Weekend! With another warm weekend upon us, what will you be drinking the next few days to help beat the heat? If you haven't yet made this crucial decision, here are two options perfect for Summer sipping. First is the 2009 Martín Códax Albariño, a refreshing white wine from the Rias Baixas (pronounced ree-ahs buy-shuss, click to listen) region of Spain. Located in the northwest portion of the country, this region lies in close proximity to the Atlantic Ocean. Not so coincidentally, this wine pairs with just about anything that comes out of it! 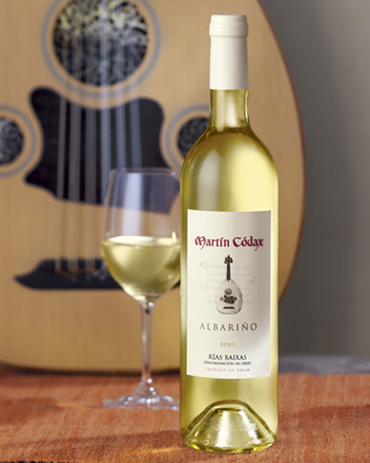 This crisp, light white has flavors of citrus and peach as well as a lovely minerality; it was fermented entirely in stainless steel to preserve its fresh, fruit character. This wine's bright acidity and flavor profile make it a natural match for briny oysters, succulent shrimp or lighter dishes like goat cheese and arugula salad. It's essentially like adding a squeeze of lemon to whatever you pair it with. Second is the 2010 J Vineyards "California" Pinot Gris. This lovely white is a blend of 100% Pinot Gris grapes from three different California appellations including Clarksburg (38%), Monterey (35%) and the Russian River Valley (27%). It has enticing notes of tangerine, vanilla and pear with a subtle dash of honey. This wine was also fermented 100% in stainless steel to preserve its fresh fruit character. Comparatively, this wine has a richer mouthfeel than the Albariño and would pair nicely with dishes that have slightly more body and even a little bit of spice. Try this Pinot Gris with Indian or Asian food, brie with honey drizzled over the top (yum!) and richer seafood like scallops. Both of these wines retail for under $20 and can probably be found at your local wine shop. If not, they can be ordered online by clicking the links above. I really hope you enjoy these Summer sipping selections and would love to hear what you think of them. What's you favorite Summer sipper...so far? 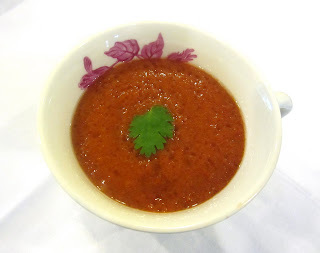 Tomato/Tomatoe: Cilantro-Flecked Heirloom Tomato Soup! After a thoroughly educational experience, I am back from the Society of Wine Educators Conference I attended in Providence, Rhode Island last week. They had to pour me onto the plane, but I made it home nonetheless! 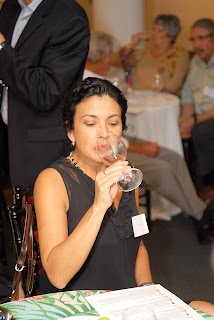 The theme of this year's conference was "A Food and Wine Experience" and consisted of three full days of intensive seminars, many of which focused on the pairing of wine with food - what's not to love about that? It was difficult to select from all the fabulous seminar topics and the caliber of the speakers was truly impressive, as was the humidity level which remained under 100% the entire time! My brain is abuzz with all kinds of fun wine and food facts that I look forward to sharing with you in the coming weeks. This week, I'm emerging from my wine-induced haze with the second tomato recipe I promised you. 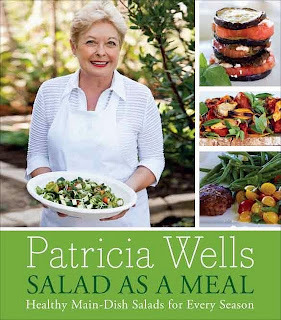 I discovered this one in Patricia Wells' latest book "Salad as a Meal." Her recipe for Cilantro-Flecked Heirloom Tomato Soup is very much like a gazpacho and is surprisingly flavorful and easy to make. All you need is a blender and the 6 (yes, count 'em 6) ingredients. You can realistically be enjoying a bowl in under 10 minutes, although she recommends letting the soup sit for 3-24 hours to let the flavors meld. As for preparation, I have to admit, I could not find piment d'Espelette locally and used ground red pepper instead with delicious results. Also, in the interest of aesthetics, when selecting the heirloom tomatoes, be sure to use those that are very ripe and do not mix too many colors or your will end up with a murky or brownish looking soup. Otherwise, this dish is a light and delicious way to begin a meal or to keep in the fridge as a healthy snack! This recipe utilizes the heirloom tomato (aka heritage tomato in the UK), which, according to Wikipedia, is an open-pollinated (non-hybrid) heirloom cultivar of tomato. Heirloom tomatoes can be found in a wide variety of beautiful colors, shapes, flavors and sizes. As with most garden plants, cultivars can be acclimated over several gardening seasons to thrive in a geographical location through careful selection and seed saving. They usually have fun and interesting names like Big Rainbow, Green Zebra, Hillbilly, Striped German and Brandywine, just to name a few. With their delightful flavor, texture and colors, I usually serve them as a simple tomato salad drizzled with olive oil and balsamic vinegar in order to let them shine. This soup, however, really allows their flavor and color to come through and is a lovely alternative. I hope you enjoy this soup and I'd love to hear what you think of it. Are you an heirloom tomato fan or have you ever grown them? If so, what is your favorite kind? I am partial to the Green Zebras - yum! "Staying Cool Under the Tuscan Sun" with Tony Ventura! I am very pleased to introduce you to Tony Ventura, a good friend and gifted wine writer who has kindly agreed to do a guest post for The Glamorous Gourmet! 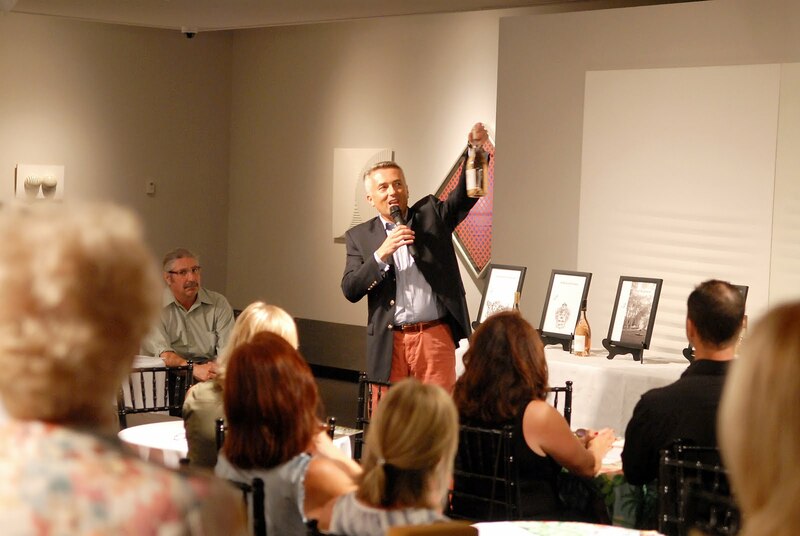 Tony is the wine writer for Ciao Italia, a website devoted to creative Italian cuisine. I thoroughly enjoy his work and hope you enjoy his timely tips for "Staying Cool Under the Tuscan Sun!" This week I'm off to The Society of Wine Educators Conference in Providence, Rhode Island. I look forward to sharing lots of fun food and wine facts when I get back. Now, I give you, the fabulous Tony Ventura - enjoy! Every Italophile romanticizes being Under the Tuscan Sun. Unfortunately, reality sometimes clashes with our dreamy meanderings…especially during our summer season. We tend to seek the shade when the temperatures start interfering with our steamy Tuscan thoughts. We also tend to change the way we eat and drink during these summer months. 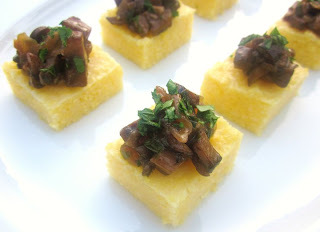 I recently thought of this subject while munching on some Polenta Squares with Mushroom Ragu (recipe below). These small bites seemed perfect for a warm summer afternoon…so did the wine with which accompanied these morsels. If you’re dreaming about Tuscany, then you definitely should be drinking Tuscany. I ruled out some of the southern Tuscan wines that many people call the Super Tuscans. Many refer to these wines as “contemplative wines”. Contemplating in the summer afternoon sun seemed like too much work for me! I decided to guide my vinous thoughts a little further north in Tuscany. The Chianti region seemed perfect. Let’s forget the more serious Classico sub-region. I really enjoy the simple Chianti from the sub-regions of Colli Senesi, Colli Fiorentini, and Rufina. The fresh taste of berries is perfect for summer dining. You can even chill these wines for 20 minutes or so if you would rather have something cooler. I finally decided on Castello di Farnatella’s Chianti from Colli Senesi. If you need a white wine, I wouldn’t hesitate serving Tuscany’s Vernaccia di San Gimignano. Elisabetta Fagiuoli, a Tuscan winemaker in San Gimignano, says that Italy’s Vernaccia is “really a red wine that is made from white grapes.” This dry, nutty flavored wine is a perfect match for the Polenta Squares. I chose a new producer called Castello Montauto. 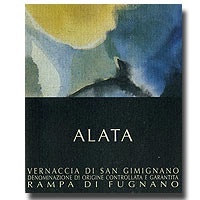 I also like La Rampa di Fugnano’s Alata Vernaccia, which should be widely available in the States. Meanwhile, heat the oil in a heavy large frying pan over medium-high heat. Add the mushrooms and onion. Sprinkle with 1/2 teaspoon of salt and 1/4 teaspoon of pepper and saute until the juices evaporate, about 8 minutes. Add the garlic and saute until the mushrooms are golden brown, about 2 minutes longer. Decrease the heat to medium-low. Add the Marsala. Cover and simmer until the Marsala has reduced by about half, about 5 minutes. Stir the flour and remaining 2 tablespoons of butter in a small bowl to form a paste, then stir the paste into the mushroom mixture. Cover and simmer until the sauce thickens slightly, about 2 minutes. Remove from the heat. Stir the parsley into the ragu. Season the ragu to taste, with more salt and pepper.